Remember when we think of mobile games, its just Angry Birds and Candy Crush? Not anymore and not for some time before and after. One of the ship girl collection games gives me an Arpeggio of the Blue Steel vibe. The other actually has ship models and for a change....GUYS! That's it, Ship Guys! Equal opportunity husbandoo collecting. And there is another there that is about --- PLANES. That's long overdue. Gives me that Infinite Stratos feel. Here's one that's already out in the US market. This one is about gun girls and requires some strategy. It appears well made and well reviewed, but hasn't gotten enough exposure with the increasingly saturated hero collection games out there. Star Trek still doesn't have a collection game but it already has its mobile games. Mobile gamers have a term for this game's genre, calling it "base building" games. More traditional players would recognize this game as a 4X (Explore, Expand, Exploit, Exterminate). It does have a bit of a hero collection feature with the crew. This one differs from other Trek games because its in the Kelvin timeline. I do Play Fleet command, its a pretty fun game. But Star trek also have, Timelines. There's also Azur Lane, which I personally like. That's already covered by another thread. 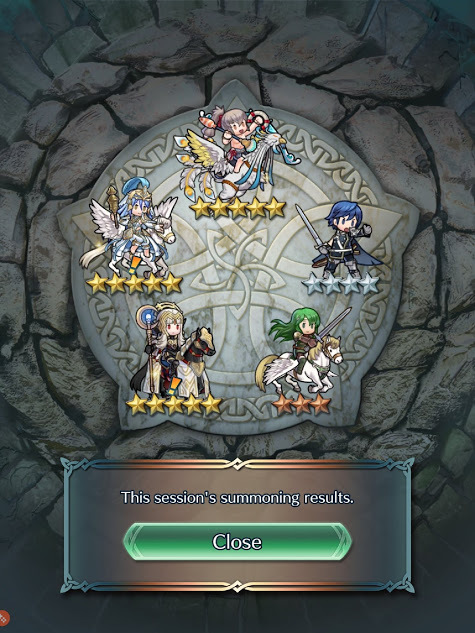 I hope its a good omen as I end the year or start the next with one super awesome gacha roll on Fire Emblem Heroes, with three five stars with Summer Takumi, Legendary Azura and Brave Veronica. 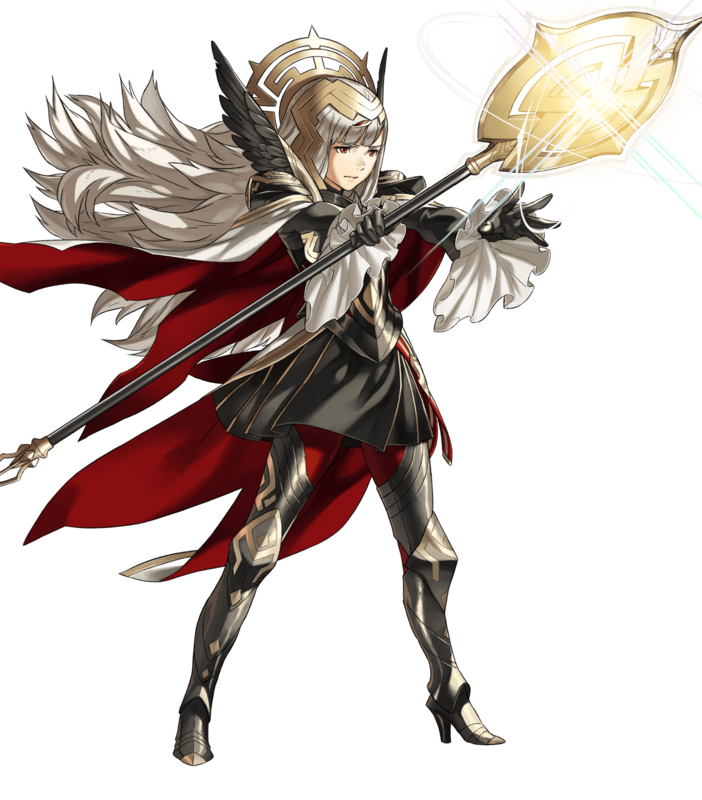 I failed to capture Brave Veronica the first time around, and now she's proven to be one of the best units in the game. I noticed that ST Fleet Command shot up to the charts quickly, with over 1 million downloads on Android alone. I do find the idea of going back to space games, intriguing. Ah, OK. I wasn't aware there was another Thread about these. 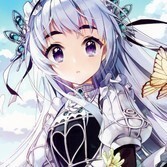 Fate Grand Order reigns as the gold standard for gacha games in terms of revenue collection but I am personally getting tired of the game's shenenigans, lack of a proper cloud backup (lose your phone, lose everything), unrelenting very low chances of getting some good, and generally a bad and outdated looking app. This is not to mention the rise of all sorts of high quality, disruptive competition. What continues to drive FGO is the awesome characterizations and stories, and the game feels like you are playing through a visual novel. The Babylonia chapter of FGO will soon get its own anime series. The chapter became available in FGO-NA for the whole December, including rolls for Gilgamesh, Enkidu and Ishtar. Not sure of Endiku's gender, woman or trap. A new FGO chapter is coming. Not sure what it is all about other than a whole new range of villains to fight through. Nice to bring this up. This looks like an interesting game. Also, I want to mention that this is perhaps the hottest mobile JRPG and gacha game right now. Its a bit retro in respect using visual novel style, combined with turn based combat and side scrolling. Good catch! That sound seems pretty generic laser or phaser shooting sound. Star Trek Fleet Command appears doing well on both mobile platforms, on the Google side its consistently among the top 100 and has gathered over 1 million downloads. NIntendo started the year with some controversy with Fire Emblem Heroes, as it launches $75 dollar packages featuring one character along with a whole bunch of orbs and feathers. This provoked some reaction with the Japanese market. As for me, I don't think I spent over a hundred dollars to obtain all four characters. What's notable about the package is that they featured only the characters original to FHE, and not yet another alt of a character in a previous game. Intelligent Systems have been getting some heat over their army of alts. After being overshadowed by Nintendo's new mobile game Dragalia Lost, FHE seems to be back on top of the two. Dragalia Lost is Nintendo's other hot mobile RPG game, and is an entirely new IP. This was developed with Cygames. Typically with Nintendo, they never skip on localizations and have simultaneous releases on both NA and JP. This means as an NA player, you are not playing a game that is lagging behind its JP counterpart by months or even years. 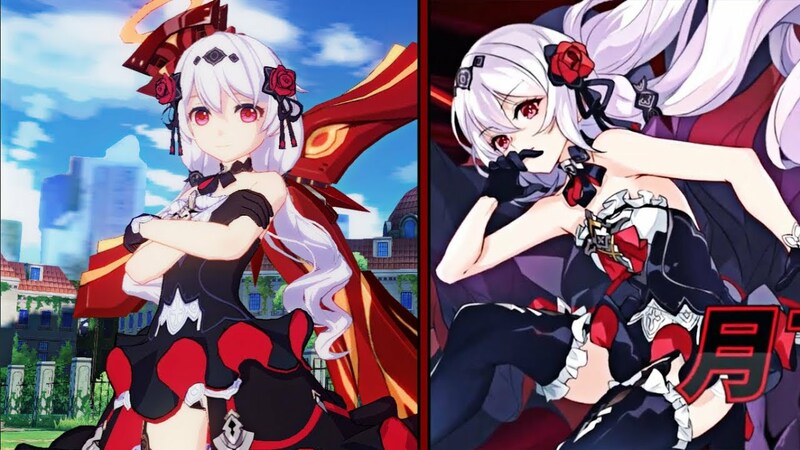 Obtained two new Kallen Kislana battlesuits recently on Honkai Impact 3rd, one being the Sundenjager or Sin Hunter. Rolling for A rank suits is easy on Honkai but its a grind afterwards for S, SS then SSS rank. My progress in the game has slowed down as my Valkyrja are underleveled, but even A rank Kallen seems stronger than some S ranked Valkyrja. Getting Kallen was confusing at first, as she does no immediately show up in the room. It turns out you need to have some previous Kislana valkyra --- one of them that comes with the game for free --- and enable the new Valkyrja from there. Even though Kallen is playable, in the storyline, she's already dead by more than 500 years, and like another playable character Yae Sakura, both already reside in the Stigmata realm. Kallen is Kiana's ancestor in the Kislana family line, and for a time being, the most powerful Valkyrja of the Schicksal. Otto Apocalypse, who is her first lover, cannot get over her demise, and used her DNA to create a near clone of her, who became his granddaughter, Theresa Apocalypse, another playable character and the principal of the St. Freya school. I am still working through the story, but the way Kallen's battlesuit is attached to Kiana's seems to imply that Kiana later somehow is able to activate her ancestor. Kallen is voiced by Nana Mizuki outside of CN, and whose latest credits include Vanessa of Black Clover and Popuko of Pop Team Epic. Its a treat to hear her go "Hasta La Vista!" when the special ability is activated. Rolled and got Theresa Apocalypse's Luna Kindred battle suit on Honkai Impact. This is probably the best looking suit in the entire game. Just oozes with blood goth. The bats that follow Theresa is sick. Here Theresa takes on Dark Bronya. Now on to some other news. Strange things are going on with Activision Blizzard, as their CFO resigned, and then his replacement resigned in only after a week. The first CFO was poached by Netflix to become Netflix' new CFO, the second CFO went to Square, who does payment systems. The CFO position is said to have a $10 million dollar a year salary, so for them to jump ship, maybe there is something rotten going on with Activision Blizzard. Back in 2018, key members of the Heartstone development team left, namely Ben Brode and Hamilton Chu, then followed by Yong Woo. Both have set up a new company called Second Dinner, and is said to be making a Marvel game, with $30 million in funding from NetEase. In another bit of strange news, suddenly Nexon's founder and CEO decides that he has had it, and is selling off all his shares in the company. With Nexon being one of the biggest game companies in the world, it would take another giant to swallow it, and potential bidders might include Tencent, NetMarble and EA. 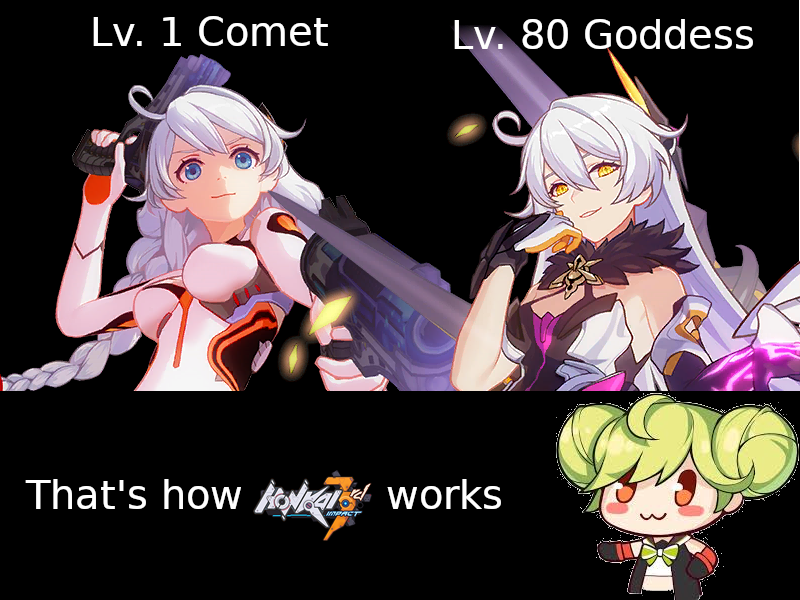 From Hnnkai's Reddit forums, Honkai Impact 3rd in a nutshell. Langrisser is one that I'm keeping an eye on. I played Langrisser 2 and 3 way back in the 90s when I was still in high school. So for me this is a blast from the past, and reuniting with modernised versions of old favourites. Langrisser is another game I am waiting on. Its kind of Fire Emblem Heroes with the difference being that each character leads a squad or a company of soldiers. Granblue Fantasy has been out for a while. Its among the older and more mature gacha games, quite successful indeed. However, its global distribution is limited. They seem to be run by people who have the misguided notion that anime themed gacha games are not going to make it globally, or at least in the West --- something that has been debunked by Fire Emblem Heroes. But ever since Cygames, which made Granblue Fantasy, teemed up with Nintendo to produce Dragalia Lost, which had a strong simultaneous global-NA-JP release, the need for Granblue Fantasy to go global grows less and less every day. Cygames is putting their bets now on Dragalia Lost. Granblue Fantasy, while being a Japan-only release, actually has full English translation of the entire game, and can be accessed easily by international players. But its an old game now, out since 2014. Dragalia Lost is like 2018, just came out last October. Surely Cygames wants you to play Dragalia Lost instead, which is their next generation product and I should mind you, is highly rated among reviewers. You don't have to deal with JP version that is months and years ahead, Dragalia Lost is built from the ground up to have internationalization in mind, which means JP, NA, EU and SEA players are all equal in content availability. You not only have a game with English translations, but a game where characters speak English freely with high quality dubs. Dragalia Lost is built from the ground up to have internationalization in mind, which means JP, NA, EU and SEA players are all equal in content availability. It hasn't been officially released in the EU and probably won't be at this point in time. So Dragalia Lost is certainly NOT equal in content for all regions. I will check it out when I am travelling. I tried Granblue Fantasy before on my old Samsung Note 3. I'm guessing the server is in Japan, because the lagging and the crashing made it unviable to play for me. Well thats too bad. Turns out it was released on five 'regions'. Its remarkable because this is Nintendo's newest IP, nothing based on Super Mario, Metroid or Fire Emblem. Starting January it already has its own manga, and the way its going, I am going to predict a Switch release and maybe even an anime series. Fire Emblem Heroes and Dragalia Lost pulls in the moolah for Nintendo. I really need to pull in my purchases on FHE, but gacha itself can be somewhat addicting. Announcement of Dragalia Lost manga. Is Nintendo becoming more evil? Or it has seen the light (or darkness) or the writing on the wall? Nintendo might be looking to make more freemium gacha games. I do think however, the market maybe headed for saturation and blow up on itself. I do think Nintendo will have a hard time matching the extraordinary success of Fire Emblem Heroes. When Dragalia Lost was released, it overtook FHE up the charts, but it was only momentarily before the two games reversed position again. I got another bit of news here. Been hearing news about a wacky anime themed MOBA, the title of which is Extraordinary Ones. The developer is NetEase, lately infamous for Diablo Immortal, but also known for making Knives Out and Rules of Survival. For some reason Knives Out has become very popular in Japan. The news is that Extraordinary Ones have just hit the Japanese market. I get the impression of a MOBA inspired by My Hero Academia. No word on English release yet.